Left 4 Dead developer Turtle Rock brought the latest build of their upcoming project, Evolve, to this year’s PAX East, showing off some of the game’s most recent progress. Based on a vast amount of telementry data, a number of significant tweaks were made to Evolve’s gameplay since we last saw it in action, specifically to the way Evolve’s Monster class progresses throughout the course of a match. Players will now accumulate points as they progress, which can be spent freely on three different abilities. In the case of the Goliath, the only monster we’ve seen so far, that includes abilities like Fire Breath, Rock Throw, and Dash. Choosing to invest in a single ability, it will gain attributes and improve significantly. But players may wish to even out their effectiveness by spreading points across multiple techniques. Through their findings, the studio also learned that about 12 minutes is the sweet spot for a match. That’s where players get the most out of their experience, Grace noted. 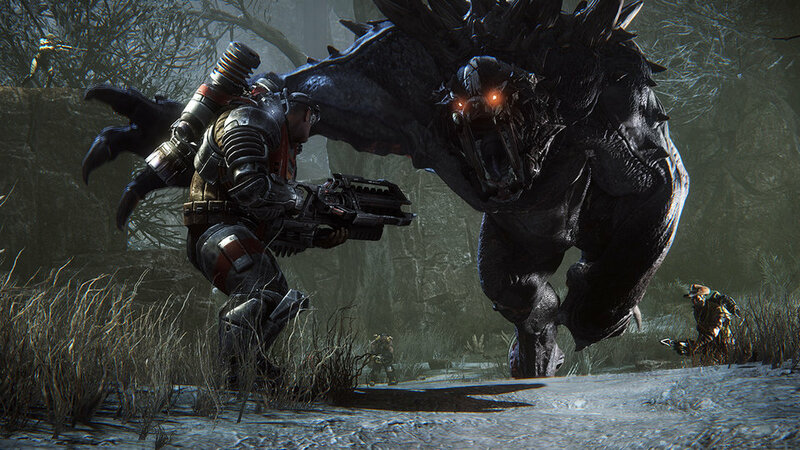 Evolve is coming to PC, PlayStation 4, and Xbox One this Fall.